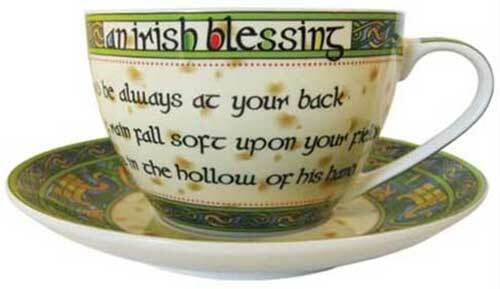 This Irish blessing teacup is enhanced with a Celtic motif that is continued on the saucer. The Irish teacup holds 10 1/2 ounces of your favorite beverage and it stands 2 3/4" tall; the saucer measures 6 3/4" wide. The bone china teacup and saucer is dishwasher and microwave oven safe. 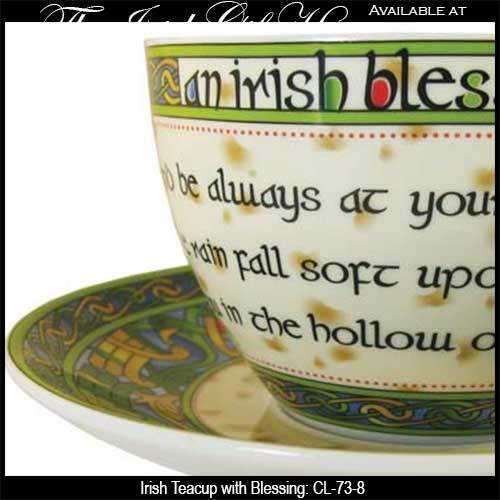 The Irish teacup and saucer is made in Ireland by Clara and it is received with a Celtic knot history card, complements of The Irish Gift House.